Unlike Kilimanjaro when you are climbing the Mount Meru you have to be escorted by an armed ranger(s) as you pass through the Arusha National Park. It is at this time when you will enjoy the walking safari as you pass the groups of African buffaloes, Zebras, Black andwhite colobus monkey just little wildlife to mention. The Momela and Ngurdoto Lakes are rich in birdlife as you trek to the mountain; birds like Pelicans and Flamingo are closely seen. Day 1: After breakfast depart Moshi about 8:30 a.m drive to Momella gate. Make payment and start the climb with picnic lunch to the first hut called Miriakamba hut. Dinner and overnight – Miriakamba hut (3 ½ hrs). Day 2: After breakfast we proceed with a climb to second hut called Saddle. This is too steep part compared to the first part (2 ½). During the afternoon, client can decide to attempt climbing little Meru peak and back. Dinner and overnight – Saddle hut. Day 3: Wake up at middle-night and have a cup of tea before starting attempt big Meru peak. Proceed to summit crossing rocky path and back to Saddle hut for full breakfast. Then short rest and leave Saddle hut and descend down to Momella gate via first hut (Miriakamba). On the way back you path though Momella Lakes for a game viewing to Moshi/Arusha. Day 3: Wake up at middle-night and have a cup of tea before starting attempt big Meru peak. Proceed to summit crossing rocky path and back to Saddle hut for full breakfast. The day will be spent resting. Lunch, dinner and overnight at Saddle hut. 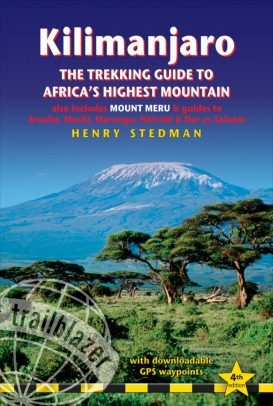 Day 4: Leave Saddle hut and descend down to Momella gate via first hut (Miriakamba) where you will be transferred to Arusha/Moshi.